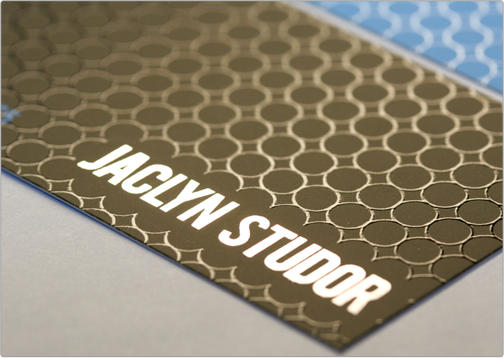 The Jaclyn Studor silk card displays a unique and minimalist design. 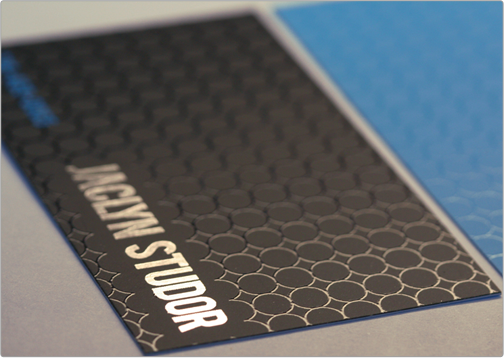 The business card involves decorative silver foil with an array of spot gloss circles to create a modern self image. 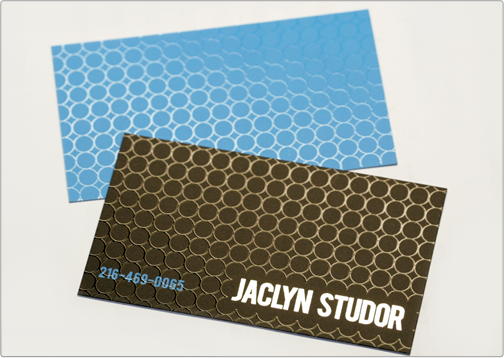 Specs: standard cut 16pt silk bc/ spot gloss 2 sides/ silver foil 1 side.